Increased acceptance of cannabis use worldwide is leading to greater diversification of products. From edibles to cannabis-infused drinks, the potential for market development is tremendous. But who will come out on top when the dust settles? The legalization of cannabis in Canada is looming, so big corporations are making bold moves. Rapidly evolving consumer needs make predicting the future difficult. But a look at current strategies can provide a spark of insight. And it is a look worth taking. The impact this emerging market can have on a number of sectors will certainly be profound. For years, many questioned whether cannabis actually provided health benefits. Since marijuana was illegal for so long, that restricted traditional approaches to medical research. But as legalization in both medical and recreational areas have evolved, so too have research opportunities. In fact, major cannabis industry producers are actively pursuing partnerships in the field of medical research. For example, Tilray, a major Canadian cannabis producer, recently entered into an agreement with Sandoz Canada pharmaceuticals. As the generic arm of Novartis, Sandoz sees potential in legitimizing cannabis distribution in pharmacies and hospitals through traditional research. of note, Tilray is the first pure-play cannabis business to IPO in the United States. Another large Canadian company, The Hypothecary Corporation, has partnered with both Canadian and Australian government agencies. They also plan to explore the health benefits of cannabis on epilepsy and other disorders. 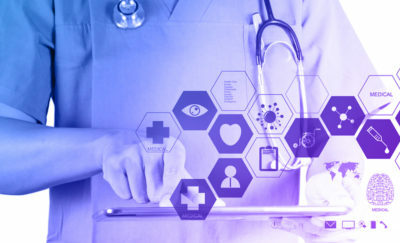 It would seem that the connections between the cannabis industry and the medical health industry will continue to grow. It is no longer a secret that marijuana has medical benefits. As a result, 31 states (and Washington, D.C.) have medical marijuana laws. Likewise, over thirty countries worldwide have laws that permit some form of medical marijuana usage. Despite this, much of the focus has been on efforts legalizing recreational use of cannabis. But this is likely to shift in the near future. One reason for this change is the increasing awareness of health benefits related to cannabidiol. Better known as CBD, cannabidiol is gaining in consumer popularity. Unlike THC, or tetrahydrocannabinol, which accounts for marijuana’s euphoric high, CBD lacks mind-altering properties. However, it does provide numerous health benefits. These benefits include reducing pain and inflammation, as well as relief from cramping. This is why the Coca-Cola Company and other major corporations are pursuing cannabis-infused drinks as product offerings. The notion of cannabis-infused drinks is not something new. The cannabis industry has seen many joint ventures and partnerships occur this year with cannabis-infused drinks in mind. Constellation Brands, the owner of Corona beer and Svedka vodka divisions, is pursuing a joint venture with Canopy Growth. Canopy Growth is the largest producer in the cannabis industry. Constellation Brands has invested roughly $5 billion in Canopy Growth in exchange for a 38 percent stake in the company. The reported plans of these companies are to produce zero-calorie cannabis-infused drinks. Some strategies may use cannabis to complement existing alcoholic beverage products, while others will involve non-alcoholic ones. 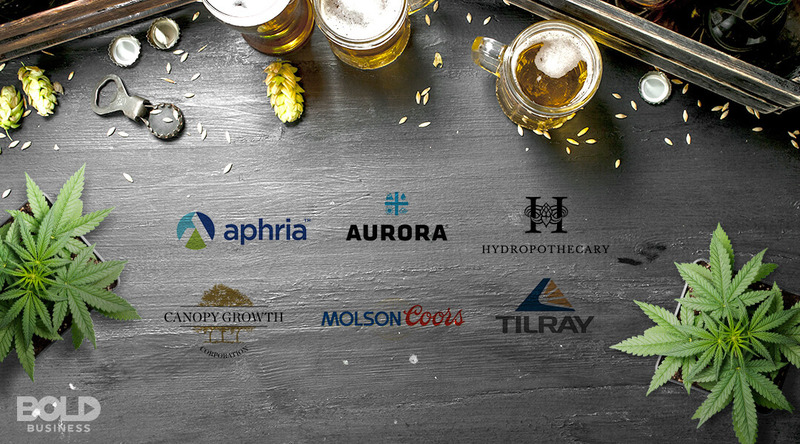 Earlier in the year, Molson Coors Brewing Company also entered into a joint venture with a major cannabis industry player. Under the name HEXO, the company plans to make cannabis-infused drinks with The Hypothecary Corporation. Like Constellation Brands, options to add cannabis to a variety of beverage products exist. Presumably, this will include alcoholic beverages. As reported in Bloomberg this week, Coca-Cola is currently involved in talks with Aurora Cannabis. Aurora Cannabis is among the top five cannabis industry players and is rapidly expanding. No formal deal exists yet between the two; however, many expect a joint venture to materialize that results in cannabis-infused drink production. Obviously, Coca-Cola has interests in the recovery-beverage industry, where cannabis-infused drinks would add to its offerings. “I think most products will be in form factors more similar to other pharmaceuticals, other CPG products. 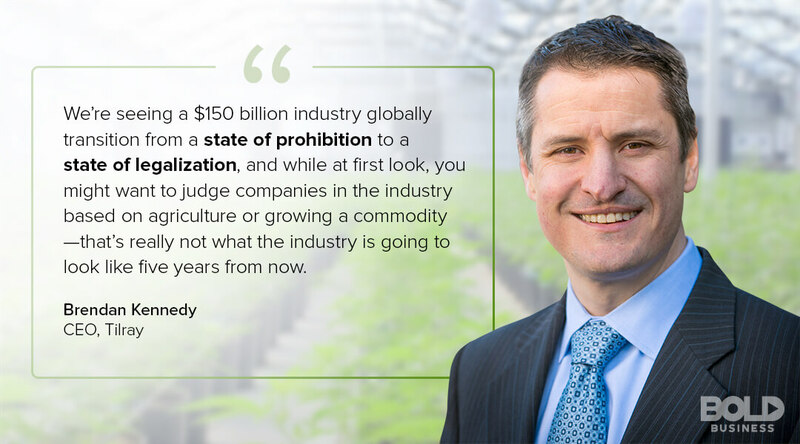 People will drink cannabis instead of beer; people will drink a product with zero or few calories and no hangover, and they’ll drink it instead of a beer in a bar or at their homes.” According to Tilray’s CEO Brendan Kennedy. Technically considered an edible cannabis product, cannabis-infused drinks could revolutionize the beverage sector. And with a reputable company like Coca-Cola involved, the potential for entry into other industries becomes more acceptable. Unlike Constellation Brands and Molson Coors Brewing, Coca-Cola has a greater interest in CBD. This component of cannabis may have the most tremendous potential for industry expansion. For the cannabis industry, being first to market has tremendous advantages. But for the future, staying on top may require different strategies. If all beverage-makers begin to market cannabis-infused drinks, supply issues could become a real issue. Some current cannabis industry leaders have secured large supplier capacity. Canopy Growth represents over a third of all the cannabis supply in British Columbia and Alberta. It’s little wonder why Constellation Brands was interested in a partnership with Canopy Growth. But what happens over the long haul? As demand for cannabis industry products rise globally, having the capacity to scale production is important. With this in mind, other companies are making bold moves in this direction. Specifically, Aurora Cannabis recently acquired ICC Labs in South America, and both Agropro UAB and Borela UAB in Europe. This will significantly advance their production capabilities over time. Undoubtedly, Coca-Cola has taken notice. Though supply concerns are not currently present, expansion of cannabis-infused drinks and edibles could create exponential increases in demand. For this reason, some companies like Coca-Cola are likely looking to secure long-term supplier agreements. Likewise, other businesses will begin to look at the variety of cannabis-related products made. Some cannabis industry firms have already diversified their cannabis products greatly. Others tend to be pursuing more niche-product approaches. Depending on a company’s cannabis needs, different partnerships are certain to evolve. The cannabis industry is one that is rapidly changing, which makes it challenging to get accurate valuations. For example, if Coca-Cola makes a deal with Aurora Cannabis official, Aurora’s value will skyrocket overnight. Understanding this, here is a short list of the major cannabis industry leaders today. And given the advantages of being first to market in the cannabis industry, it is likely these corporations will continue to enjoy significant market share. Initially, Coca-Cola had been discussing a cannabis-infused drink deal with Aphria, but this appears to have fallen by the wayside. However, this Canada-based company is one of the largest in the cannabis industry. It has been estimated to have a market cap of $5 billion. Its stock price just jumped with speculation that Aphria may align with Diageo PLC, a U.K.-based spirits maker. Aphria has also signed recent supply deals with major medical firms including Schroll Medical and Emblem Corporation. Though one of the smaller Canadian cannabis industry players, the Hypothecary Corporation has a market cap of nearly 600 million. As noted, the company has secured a deal (HEXO) with Molson Coors Brewing Company and has several medical supply partners. Its primary niche is in innovative cannabis products, such as its cannabis oil-based spray with peppermint. Also based in Canada, Tilray is the second largest in the cannabis industry based on market cap value. Its strongest focus has been on cannabis oils, which have the highest margin among cannabis products. But Tilray also has an extensively diversified cannabis product line. More importantly, Tilray has invested in large cannabis processing facilities and has become a leader in cannabis vape products. 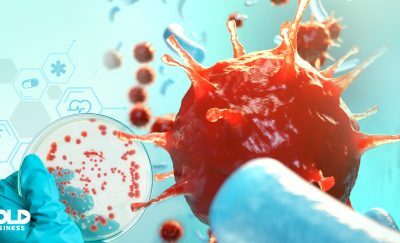 These attributes and its recent partnership with Big Pharma suggest Tilray has market staying power. Thus far, a formal deal with Coca-Cola has not been announced for cannabis-infused drinks. The company neither denies or admits whether such talks are ongoing. However, Aurora enjoys $3.1 billion in market cap value, and it plans to enter the U.S. Stock Exchange in October. This, and an aggressive global production outreach strategy, makes Aurora a major contender for the future. By all accounts, Canopy Growth is the largest cannabis industry firm. Its market cap is estimated at $11.4 billion, and its supply capacity is tremendous with roughly 20,000 kg in dried cannabis and 15,000 kg in cannabis oil. Current global strategies involve expanding exports and creating its global infrastructures. Likewise, the company has actively established global partnerships. In addition to cannabis-infused drinks with Constellation Brands, it’s expanding its cannabis vape capacity with an Organa Brands partnership. By 2025, estimates predict that the global cannabis industry will have $150 billion in value. Interestingly, a third of this market will be related to medical cannabis use. But these estimates may be rather conservative. While cannabis-infused drinks may not be considered medical in nature, health-related products containing cannabis will expand. As a result, many companies are already jockeying for their share in that market. At the moment, some companies are notably quiet. For example, PepsiCo Inc. has yet to pursue cannabis-infused drinks despite other growth pursuits. Likewise, Anheuser-Busch has not announced any active deals in this area, either. In all probability, these giants are simply watching the field right now. But waiting too long might be a problem. As more partnerships are formed, the potential for supply constraints could be an issue. By making a move soon, Coca-Cola could make sure it’s the “real thing” for the indefinite future.